ecovolta is a division of ecocoach AG the provider of the first integrated Smart Energy, Smart Home and Smart Building System, which integrates renewable energies, a storage solution and eMobility right from the start. Stoos/Schwyz, April 17, 2019 — At 1,305 meters above sea level in the car-free Swiss village of Stoos, the future is underway. 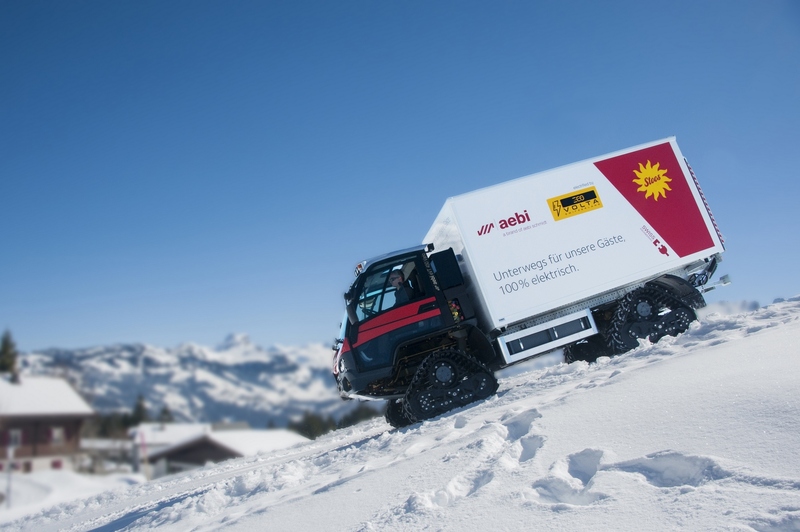 All eyes were on the village when the world’s steepest funicular was opened there in December 2017, and now it is the venue of another small world premiere with great potential, as the Swiss tech firm ecovolta celebrates the first Aebi Transporter fitted with a fully electric drive. The Transporter was electrified in cooperation with Aebi. Aebi Schmidt is a globally leading provider of vehicles and services for the maintenance of green spaces on challenging terrain. 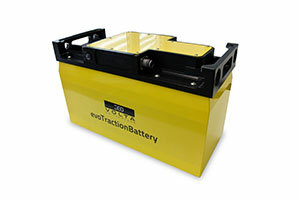 This is the first time that an Aebi machine has used the standardized Li-ion traction battery developed by ecovolta. 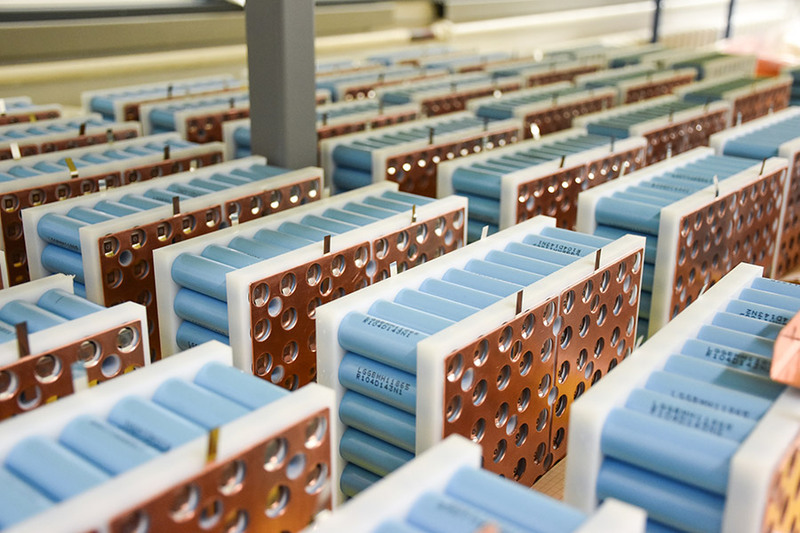 Battery packs to be shown for the first time at Energy Storage Europe 2019 Brunnen/Düsseldorf, 6 March 2019: Swiss battery system manufacturer ecovolta is introducing a new safety concept in its lithium-ion batteries which has been proven to reduce the risk of battery fires and cell explosions in e-mobility applications. To achieve this, ecovolta employs cell junctions made of electrolytically nickel-plated cold strips which automatically disconnect faulty cells from the rest of the battery pack when the current rises. From March 12 to 14, 2019, ecovolta will showcase the new battery packs for the first time at the Energy Storage Europe exhibition in Düsseldorf, booth D04 in hall 8b. Schwyz, Switzerland, 27. June 2018 - The company ecovolta is setting up a fully automated Li-ion battery manufacturing facility in Schwyz, Switzerland, with an annual production capacity of 200 MWh. Brunnen/Schwyz, Switzerland, 14 November 2018 – The Swiss battery system manufacturer ecovolta has developed a standardised Li-ion traction battery which significantly cuts the time and expense needed to bring electric vehicles to the serial production stage. This means that manufacturers can rapidly convert even smaller or pre-existing vehicle series to run on electricity, creating prototypes within just a few weeks.